Wayne Shorter Weekend kicks off with trumpet great Wallace Roney and his orchestra paying tribute to Newark jazz legend Wayne Shorter with this performance of Universe, a long-lost composition originally created for Miles Davis, featuring Buster Williams, Lenny White and Patrice Rushen. Wayne Shorter is one of the most important composers in all of jazz. At this point in the music's history, it is extraordinary to discover that there are three major, large-ensemble works written by this artist during his heyday - two from the late 1960s and one from the early 1980s. The added bonus is that they were all conceived for Miles Davis. One of those three works, Universe, is the most famous long-lost composition in modern jazz, never before played - until it came into the hands of trumpet great Wallace Roney, who has not only played with Shorter, but was also Miles Davis' only protégé. His extraordinary career makes Roney the ideal artist to perform Universe, which was given to him by Shorter himself with a blessing to premiere and record it. Don't miss this extraordinary opportunity to hear Roney and his ensemble -- including Buster Williams, Lenny White, and Patrice Rushen -- when they bring this important composition to vibrant life at NJPAC. This legacy project, in conjunction with the long- and short-form documentary films created during the Universe recording sessions, makes for an important tribute to Wayne Shorter, one of the true living legends of jazz. At the top of the performance, the audience will be treated to a sneak-peek trailer screening of Universe, the upcoming feature-length documentary account of "The Universe Compositions" and their nearly fifty year journey through the lives of Wayne Shorter, Miles Davis, and Wallace Roney. The film is produced by Sam Osborn and directed by Nick Capezzera, who have produced and directed Webby award-winning and Emmy-nominated films for The New York Times, Vice News, Vox, GQ, Vocativ, Teen Vogue, Verse Media and more. Capezzera's debut feature, Circle of Poison, premiered at the DOC NYC film festival in 2015 and aired on Al Jazeera in 2016. 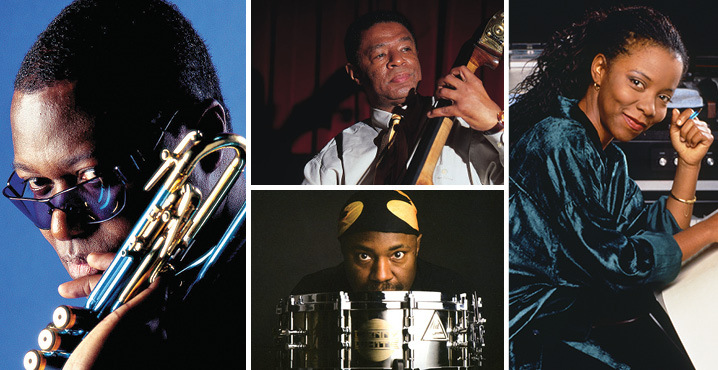 Most recently they collaborated on the first season of Jazz at Lincoln Center's documentary series Recollect.